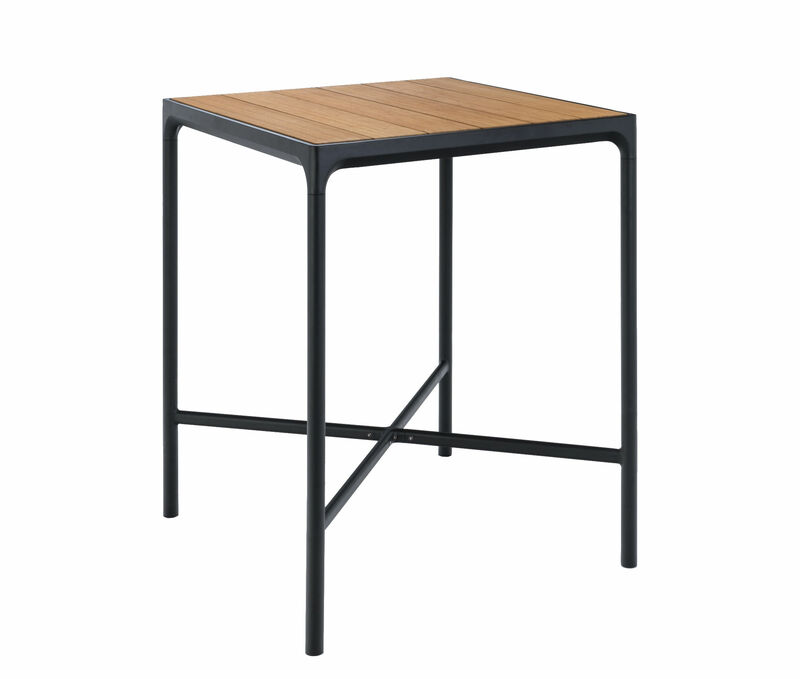 Simple, modern lines for this attractive high table (H 111 cm) ... The Four’s top is formed by several strips of bamboo, supported by an epoxy-lacquered aluminium structure. 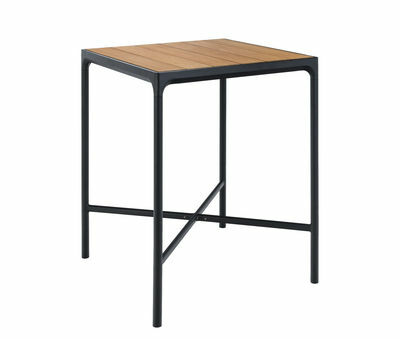 The graphic effect of the black base perfectly matches the softness of the wooden top, giving this table a highly sophisticated look. 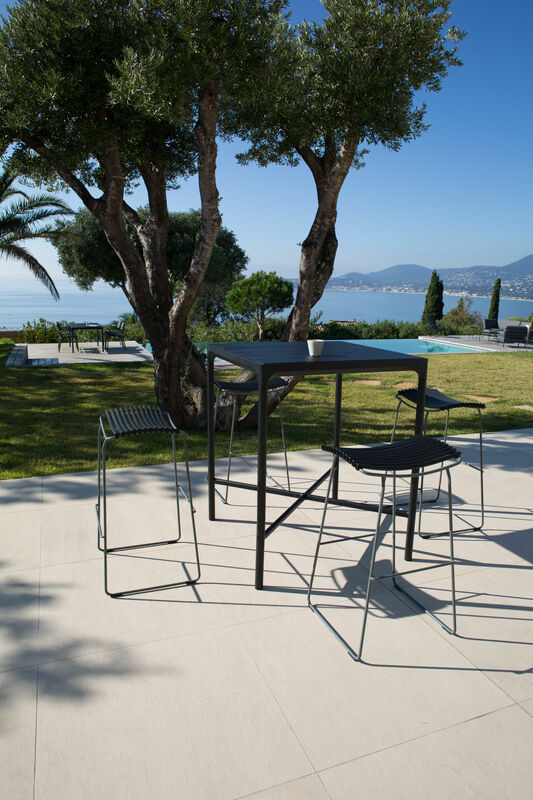 Ideal for taking eating to a higher level, Four can be placed in a kitchen, a dining room or outside. Used in conjunction with some high stools, you’ll have a dining space that’s uncluttered and comfortable. 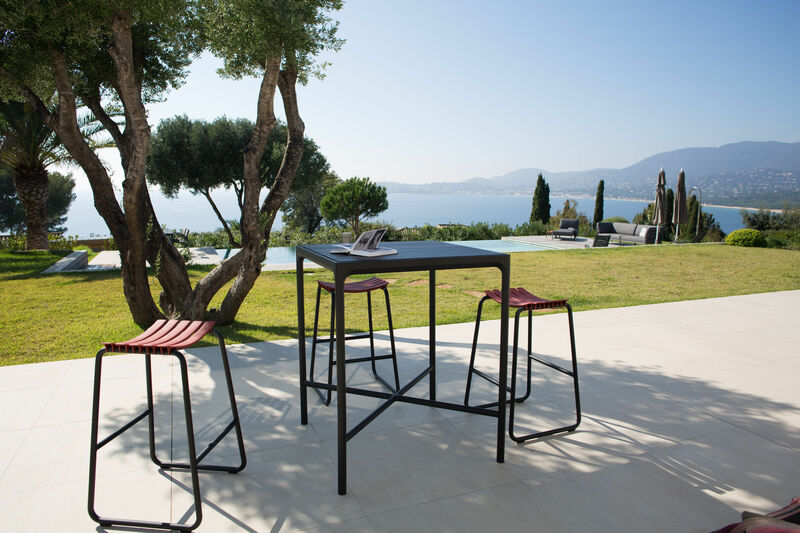 The stools in the Clips collection are ideally suited to the Four table (stools sold separately).